Originally published as “Oh, Deer. Guess what’s for dinner?” in the Yellow Springs News on Feb. 18, 2016. On Jan. 8, at 2:30 a.m., a motorist struck and killed a deer on Xenia Avenue. The officer who responded attended not only to the frazzled driver but also to the unfortunate deer, which was dead upon impact. The officer moved it from the shoulder to the berm, but what to do with the carcass? Fortunately, Yellow Springs, like many jurisdictions in the state, has a plan for such circumstances: the deer-strike list, a list of people whom police dispatchers call to retrieve the deer. The retriever gets to keep the deer, and the city benefits from the removal of roadkill. The list was utilized after the collision on Jan. 8, and the deer was claimed and removed within an hour of the accident. Yellow Springs residents Keith and Barb Swigart are on the deer-strike list. They have retrieved at least five deer through the list since moving back to Yellow Springs in 1996. Calls have come in anywhere from 4:30 p.m. to 3 a.m., Keith said, reflecting the unpredictable times of the collisions. But the couple is always happy to retrieve a deer, even in the middle of the night, he said, because of the esculent windfall such calls portend. The least they’ve ever gotten is 40 pounds of deer meat, Barb said, and the most 90. The only time they turned down a call was because they were already in their church clothes, Keith said. “If you want the meat, it’s worth the effort to do it,” Barb said. The list works on a rotating basis, with the person who has most recently collected a deer being moved to the bottom of the list. If a caller doesn’t answer or is already in his church clothes, dispatch will call the next person in line, and so on until the deer is collected. Anyone in town is able to sign up to be on the list, Hale said. The list currently runs seven people. After the Swigarts collect a deer, they bring it back to their home, where they process it in their garage. Both Keith and Barb grew up raising animals — pigs and cattle, respectively — and are very familiar with the processing process. And consuming a salvaged deer reflects the way they grew up, Keith said. They had a hands-on involvement with the food they ate, approaching it with the expectation that everything was to be used and nothing was to be wasted. Keith said he makes jerky out of salvaged deer and vacuum-seals and freezes other cuts of deer meat. If properly prepared and stored, the meat can last for three to four years, he said. This is not only a decent stockpile, he said, but meat that is free of all the chemicals typically found in industrially raised meat. Approximately eight deer are collected each year by the folks on the deer-strike list, said police dispatcher Ruth Peterson, who calls people to collect deer. She theorized that deer are aware of the no hunting zones in the area and gather there accordingly, which may account for the deer involved in the accident on Xenia Avenue on Jan. 8. Overall, the prevalence of deer also depends on the time of the day and year. 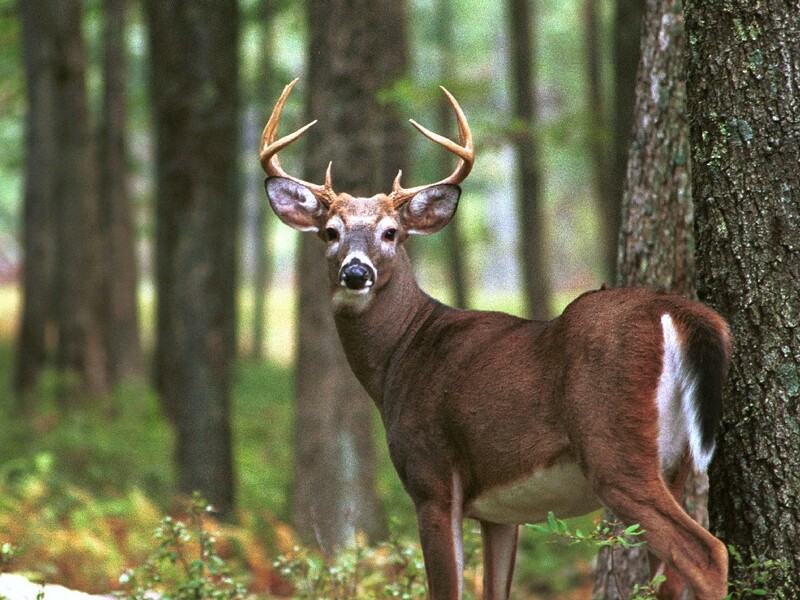 According to the Ohio Department of Natural resources, most deer strikes occur between October through early January, during deer breeding season, when deer are more active. And deer are generally most active along roadways at dawn and dusk, which corresponds to the occasionally unusual hours of the strike list phone calls. Seventy percent of deer–vehicle collisions occur between 5 p.m. and early morning hours, according to an advisory issued by the Ohio Department of Transportation. According to the Ohio Department of Natural Resources, the deer population in Ohio currently exceeds 750,000, a number that reflects encroachment on habitat and depletion of natural predators. Barb Swigart said civilization has crowded animals and they’re adapting to the circumstances. “We’ve encroached on their area and they’re no longer afraid,” she said. Consequently, Hale said, there are significant numbers of deer in some “seriously populated areas,” such as Xenia Avenue and along Corry Street, which can lead to deer-vehicle collisions. The Greene County Combined Health District reported that there were 11,081 deer-vehicle crashes statewide between Oct. 1 and Jan. 31, 2014, with 405 people injured and two killed. The relatively low speed limits in the area makes for a lot of injured deer, Hale said, which can lead to what he said was a very unsavory part of the job: putting an injured deer down. Police officers are authorized to shoot the deer if it is suffering, he said, noting that he has personally attended to this task. In such cases, dispatch is alerted about the use of a firearm to let any callers know the source of the shots, with appropriate documentation filled out upon return. Sometimes civilians are saddled with this grim task, as Keith Swigart knows. He said he could recall two instances over the years where an officer suggested he bring a firearm to take care of it. But despite the tragedy inherent in any death and the difficulty of sussing out who is encroaching on whose land, Keith Swigart and Hale maintain that the most is being made of an unfortunate circumstance. It seems cruel to leave an animal to suffer and starve in the wild, Hale said, and it seems cruel for a deer to die in vain.